We provide leather cleaning in Cheshire for suites, sofa’s, chairs and footstools. During the passage of time, leather upholstery furniture which is used regularly will lose its original luster and become dull through soiling. This is obviously more noticeable on lighter colours. If you require Leather cleaning in Cheshire, your in the right place! Providers of Leather furniture cleaning in Cheshire. 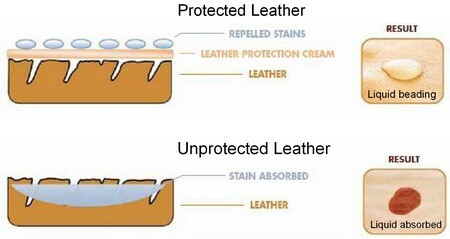 The use of baby wipes or household detergents can cause the leather to crack or peel. Additionally, skin oils, perspiration & grease will slowly start to attack the surface causing the leather to discolour, crack and peel. Owners of leather furniture also find difficulty in cleaning these types of sofas and chairs, even with DIY kits. We use a highly effective professional leather cleaning treatment which will normally restore much of the original look of the furniture unless damage such as cracking has occurred. Following the cleaning of leather, we apply a coat of protection cream. This is most important as the protection cream acts a barrier between the leather and the dirt abrasions helping to prevent premature wear & tear and further discolouration. This treatment will also condition, protect, nourish and re-instate the aroma into the furniture. Specialist leather cleaning products that are used provide excellent results! This removes the soil that normal leather cleaning off the shelf cleaners can’t achieve. 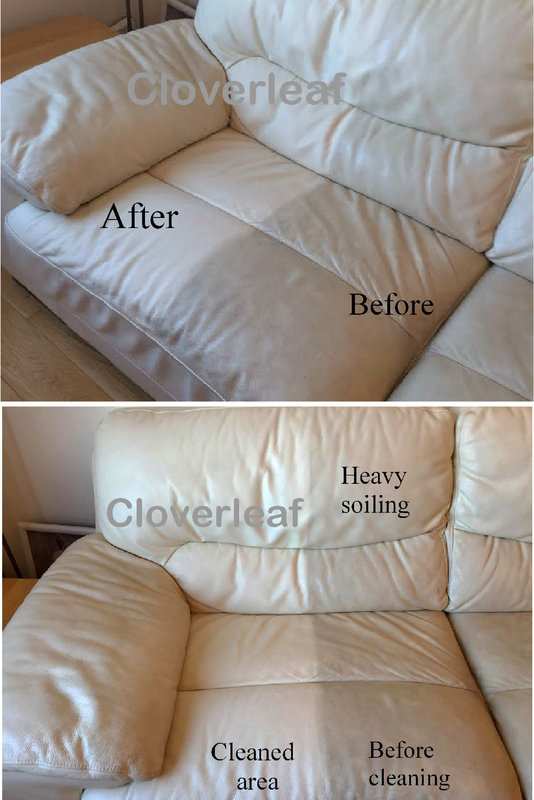 The picture below is a sofa that the client had tried to clean with a leather cleaning kit. The suite was heavily soiled and required professional cleaning. The images show a test area cleaned with professional cleaning products. Once properly cleaned, the whole suite looked nearly new again and the customer was delighted.